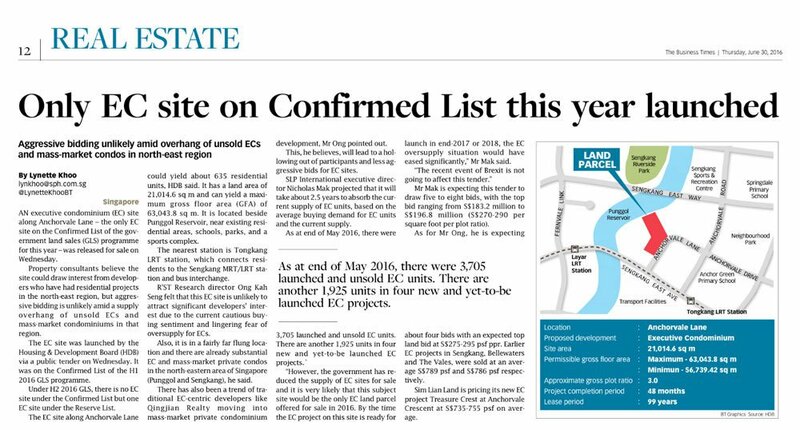 CURRENTLY ALL EC PROJECTS IN SENG KANG & PUNGGOL ARE SOLD OUT! 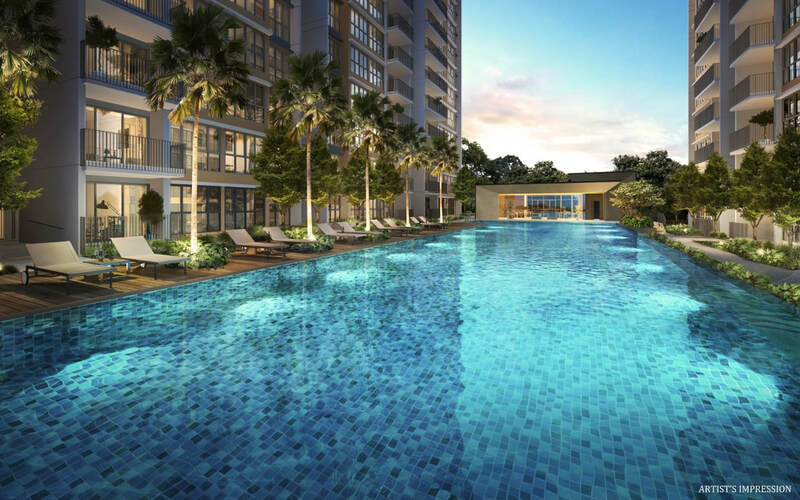 Located at Anchorvale Lane along the Punggol Reservoir, Rivercove Residence EC residents will enjoy the amenities of Anchorvale and Fernvale as well as in Seng Kang. Minutes walk to Layar and Tongkang LRT Station connecting to Sengkang MRT Station. 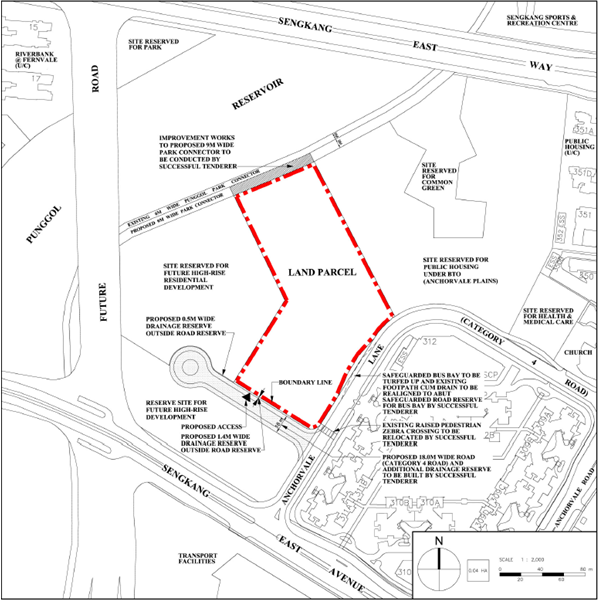 It is conveniently linked to the Central Expressway, Tampines Expressway and Seletar Expressway. Off the back of extremely positive sales figures for nearby Treasure Chest and Hundred Palms residences, Rivercove Residences EC is the latest development to offer housing to people seeking homes in the area. 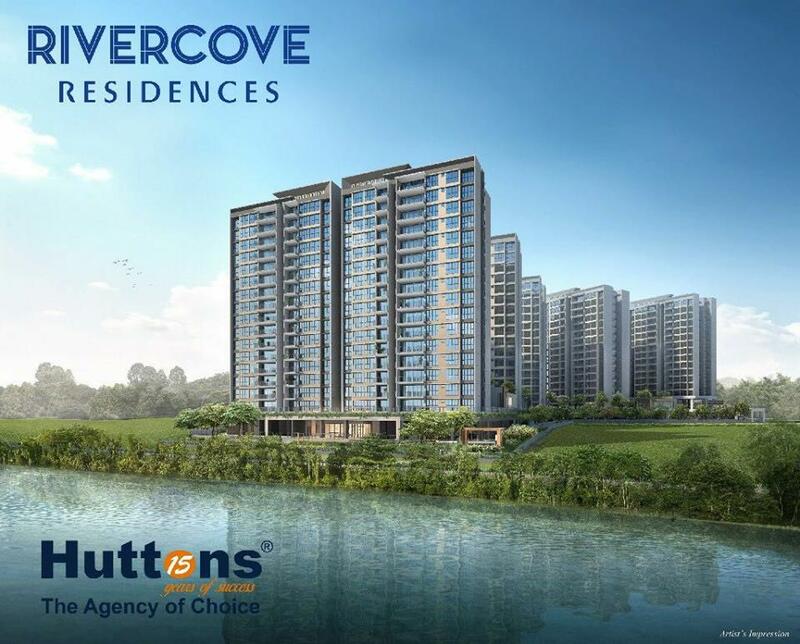 Rivercove Residences EC by Hoi Hup is an exciting new EC in Sengkang. It is in a prime waterfront location, with excellent views of Sengkang Riverside Park. 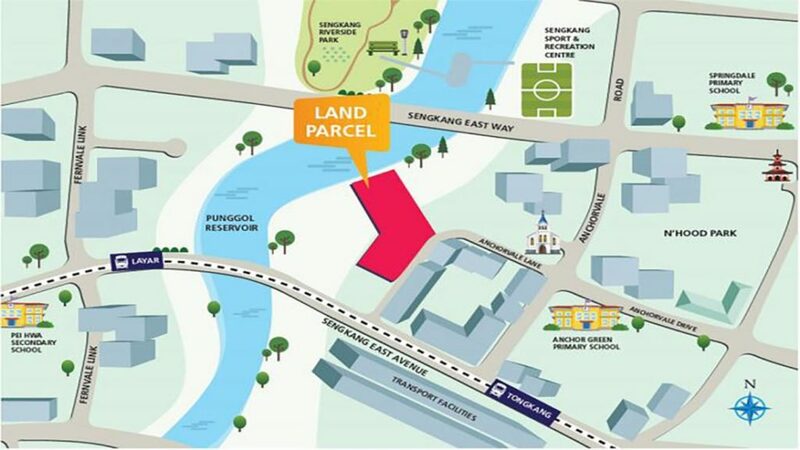 The joint plot developers are Hup Realty Private Ltd. and Sunway Developments Private Ltd.
Residence can enjoy the tranquill views, cycle jog or walk along the Puggol Park Connector connecting the Sengakang Sports & Recreation Centre and Anchorvale Community Centre. 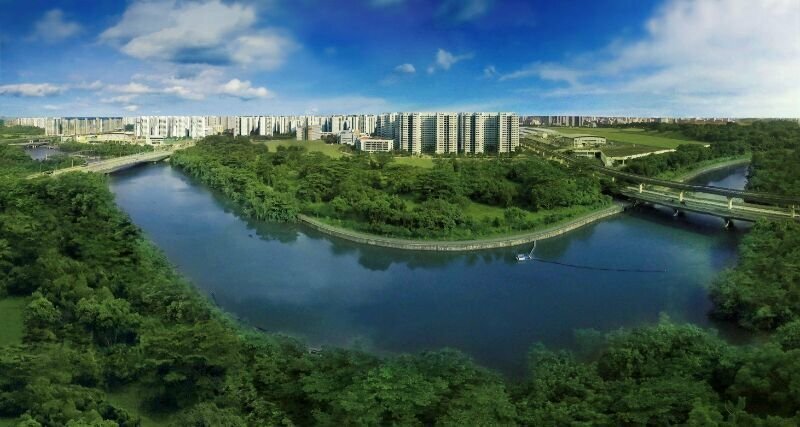 Accessable to Sengkang Riverside Park which offers greenery and various outdoor activities include water sports. 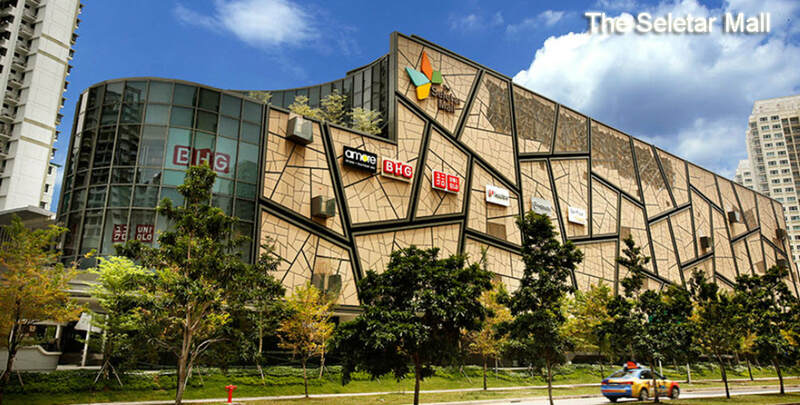 One of the largest attractions is the nearby Sengkang Sports and Recreation Centre, a huge facility that boasts a four story community center, swimming pools, badminton courts, soccer fields, hockey rinks, and more – there’s ample space for any sport you or your family could ever want to participate in. The Sports and Recreation Centre is especially unique in that it’s located on a river, allowing for all kinds of aquatic activities from water skiing to canoeing. For the kids, there are five water slides, dozens of sports teams to join, and plenty of after school activities offered at the community center. For the adults, there’s fitness coaching and group exercise classes. The government masterplan for improving the town of Sengkang is an exciting prospect for future residents of Rivercove Residences EC. The plan includes new schools, health care facilities, shops, parks, and residential areas, all of which create new job opportunities for Sengkang residents. The goal of the government masterplan is to create a self-sufficient community where everything one could need is within arm’s reach, or conveniently available via efficient and frequently updated public transportation systems. 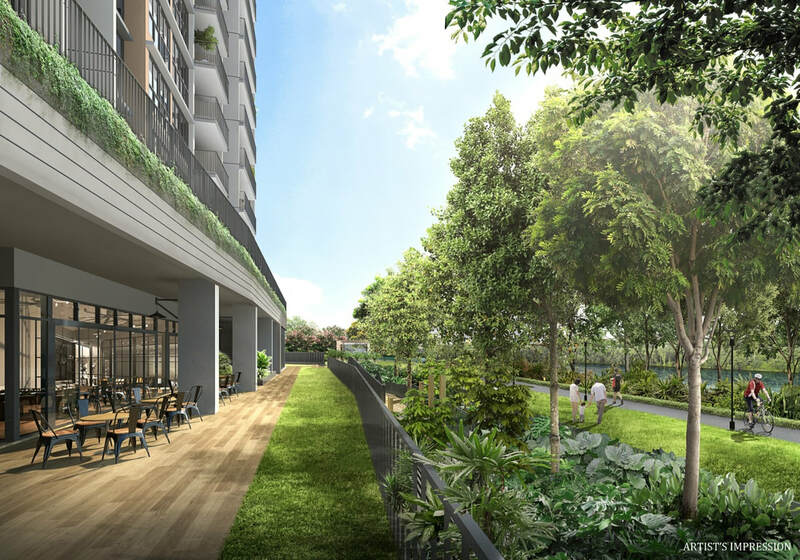 New facilities and improvements on old ones are still to come, and residents living at Rivercove Residences Anchorvale will be able to easily access them all as they’re implemented in Sengkang. Residents staying at Rivercove Residences can also enjoy a short walk to the many famous eateries along Jalan Kayu. 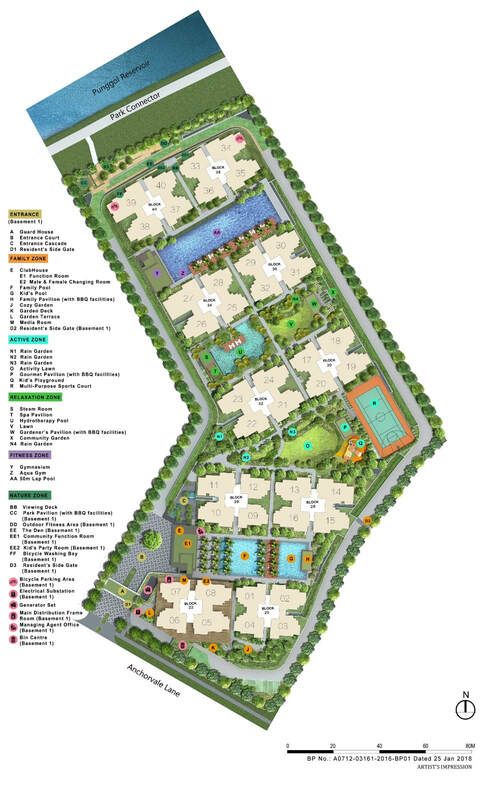 Rivercove Residences residents will have access to top quality education facilities right outside their home. Parents aren’t limited to just one primary school, but can instead have several nearby options to choose from. 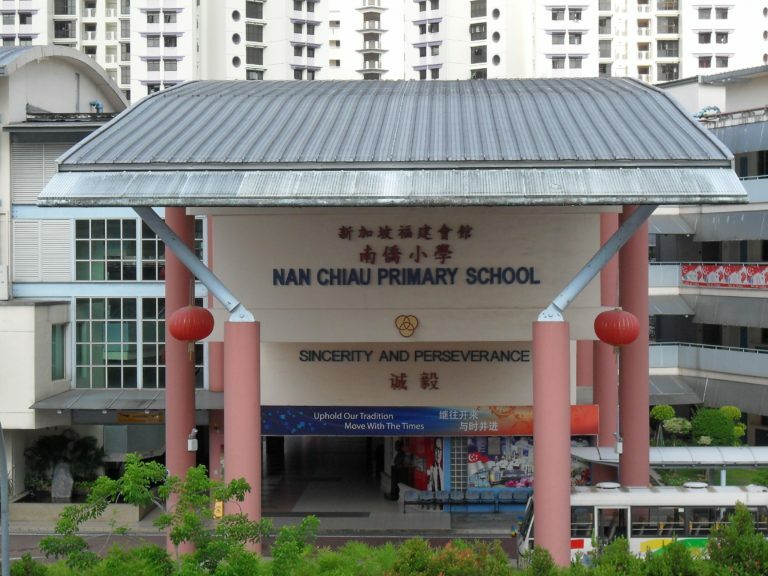 The condo is just minutes away from three outstanding schools – Anchor Green Primary, Nan Chiau Primary School, and Springdale Primary School, Nan Chiau High School. Latest Comprehensive List of New Launch Condo Property, Overseas Property & Good Resale Condo Singapore Register your interest in our upcoming Rivercove Residences EC in Seng Kang conveniently located beside a river and within 3 mins walk to Layar LRT.